Besides the fact that many attorneys begin drafting client agreements from templates accumulated from years of experience and refinement, it is wise to spend the money and take the time to consult an attorney to attend to the drafting of your personal or commercial contracts instead of purchasing or downloading a template from the Internet or drafting the contract yourself. There are many reasons why this is a good idea. For a start, each individual or company is different in that it has diverse priorities, goals and ideals which make it unique. 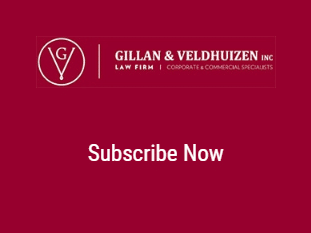 Says Alex Townsend, Candidate Attorney at Gillan & Veldhuizen, “Online template agreements are akin to the fashion standard of a ‘one-size-fits-all’ approach, whereas a professional, personalised agreement is like having an outfit tailormade for a specific occasion”. The former approach does not really fit the distinct needs of the company or individual; as a consequence, this standardised approach could lead to the inclusion of irrelevant terms and, more importantly, the creation of loopholes through the omission of important clauses. This, in turn, could bring disastrous and costly consequences down the line if disputes arise. Using online templates could therefore be considered bad practice because vague and ambiguously worded standard agreements do little to protect and enforce the rights of the parties they ostensibly serve. Secondly, adds Townsend, is that people without legal training are not always fully aware of their legal rights and obligations and are generally unfamiliar with the law or with the changes and nuances that pertain to a specific legislation and its regulations. These changes may be relevant to the agreement templates found online which may or may not be updated to be brought in line with legislative amendments. For example, if a credit transaction is involved, the correct provisions of the National Credit Act (including its Regulations) need to be adhered to in the agreement. Obtaining advice from a lawyer who is well-versed in commercial law and experienced in drafting contracts could, again, prevent the costs of potential disputes which may arise as a result of misunderstanding the law and its requirements. The bottom line is that contracts are important documents that regulate the relationships between parties, with legal consequences that can be onerous if not drafted and executed correctly. Whilst it may seem expensive to consult an attorney, professional advice will lessen the possibility of incurring legal fees in the future. To illustrate the above, the average textbook on contract law runs to over 1000 pages and directly refers to thousands more pages of case law and relevant legislation. It would be potentially reckless to ignore the fact that agreements having legal consequences should be reviewed or drafted by professional legal practitioners. Townsend advises, “It is sensible and wise to seek legal advice when drafting a contract and to spend the money and the time having it drafted or checked by an attorney to ensure that the appropriate rights of the parties and legal compliance are considered for the benefit and protection of the parties involved”.